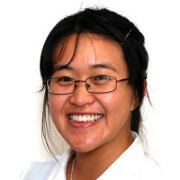 Graduating PhD student Yuxi Liu from the Yeates lab has been awarded the Biochemistry PhD Dissertation Award from the Department of Chemistry and Biochemistry for her outstanding research accomplishments. Dr. Liu has pioneered the development of designed protein scaffolds that make it possible to image small proteins by cryo-EM. 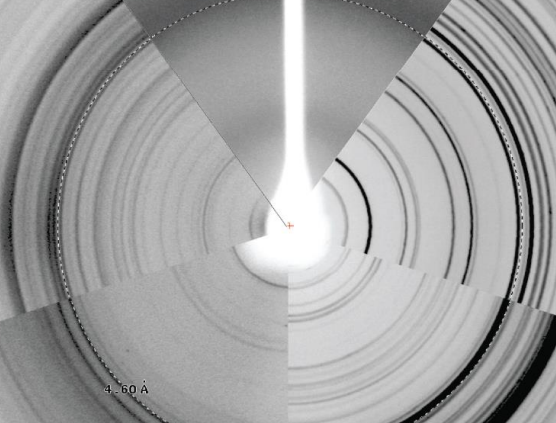 Proteins smaller than about 50 kDa have until now been beyond the scope of cryo-EM methods. 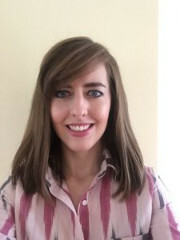 Kristen Holbrook, postdoctoral researcher in Sabeeha Merchant’s group, has recently accepted a position as a Scientist in the Toxicology group at Amgen. Her job will focus on the development and implantation of toxicology strategy for early lead discovery through clinical targets. In addition, she will work with a multidisciplinary team to design and manage a wide array of exploratory and regulatory toxicology studies. 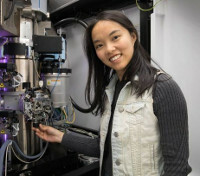 Third-year Ph.D. student Colleen Hui from Merchant lab has been selected as a Graduate Scholar at Lawrence Livermore National Laboratory (LLNL). Funded by LLNL, the Livermore Graduate Scholar Program allows participants to gain hands-on experience with the cutting-edge instruments available at LLNL, and to apply them toward solving problems in the context of questions that are addressed in their dissertation research. For the next three to four years, Colleen will be working jointly with LLNL staff physicist Dr. Peter Weber and microbiologist/senior scientist Dr. Jennifer Pett-Ridge, as well as other members of Merchant lab, to understand iron homeostasis in the green alga Chlamydomonas reinhardtii. Specifically, Colleen will be using LLNL’s unique nanoscale secondary ion mass spectrometry (nanoSIMS) capability to distinguish the iron storage site in Chlamydomonas cells, and to analyze the dynamics of intracellular iron movement. The outcome of this project will provide a better understanding on trace metal utilization in a model alga for sustainable biofuel production. 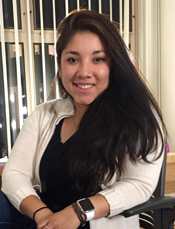 Third year graduate student Jessica Ochoa has been awarded a HHMI Gilliam Graduate Fellowship to fund her research and to support her ongoing outreach and diversity activities. Her current research focuses on the structure and function of protein-based microcompartments. New electron microscopy (EM) methods are making it possible to view the structures of large proteins and nucleic acid complexes at atomic detail, but the methods are difficult to apply to molecules smaller than approximately 50 kDa, which is larger than the size of the average protein in the cell. The present work demonstrates that a protein much smaller than that limit can be successfully visualized when it is attached to a large protein scaffold designed to hold 12 copies of the attached protein in symmetric and rigidly defined orientations. The small protein chosen for attachment and visualization can be modified to bind to other diverse proteins, opening a new avenue for imaging cellular proteins by cryo-EM. Current single-particle cryo-electron microscopy (cryo-EM) techniques can produce images of large protein assemblies and macromolecular complexes at atomic level detail without the need for crystal growth. However, proteins of smaller size, typical of those found throughout the cell, are not presently amenable to detailed structural elucidation by cryo-EM. Here we use protein design to create a modular, symmetrical scaffolding system to make protein molecules of typical size suitable for cryo-EM. Using a rigid continuous alpha helical linker, we connect a small 17-kDa protein (DARPin) to a protein subunit that was designed to self-assemble into a cage with cubic symmetry. We show that the resulting construct is amenable to structural analysis by single-particle cryo-EM, allowing us to identify and solve the structure of the attached small protein at near-atomic detail, ranging from 3.5- to 5-Å resolution. The result demonstrates that proteins considerably smaller than the theoretical limit of 50 kDa for cryo-EM can be visualized clearly when arrayed in a rigid fashion on a symmetric designed protein scaffold. 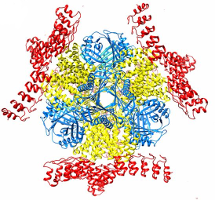 Furthermore, because the amino acid sequence of a DARPin can be chosen to confer tight binding to various other protein or nucleic acid molecules, the system provides a future route for imaging diverse macromolecules, potentially broadening the application of cryo-EM to proteins of typical size in the cell. More than 1500 human proteins contain long, disordered stretches of “low complexity”—strings of just a few of the 20 common amino acids. The functions of these low-complexity domains have been unclear. Hughes et al. present atomic-resolution structures that suggest that short segments of two such domains can bind weakly to each other by forming a pair of kinked β-sheets. Because aromatic amino acid side chains stabilize these interactions, the interacting motifs are termed LARKS, for low-complexity, aromatic-rich, kinked segments. Numerous proteins associated with membraneless organelles of biological cells contain low-complexity domains housing multiple LARKS. Subcellular membraneless assemblies are a reinvigorated area of study in biology, with spirited scientific discussions on the forces between the low-complexity protein domains within these assemblies. To illuminate these forces, we determined the atomic structures of five segments from protein low-complexity domains associated with membraneless assemblies. 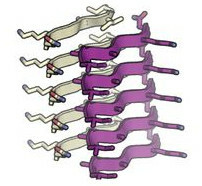 Their common structural feature is the stacking of segments into kinked β sheets that pair into protofilaments. Unlike steric zippers of amyloid fibrils, the kinked sheets interact weakly through polar atoms and aromatic side chains. By computationally threading the human proteome on our kinked structures, we identified hundreds of low-complexity segments potentially capable of forming such interactions. These segments are found in proteins as diverse as RNA binders, nuclear pore proteins, and keratins, which are known to form networks and localize to membraneless assemblies. Control of metabolism by compartmentation is a widespread feature of higher cells. Recent studies have focused on dynamic intracellular bodies such as stress granules, P-bodies, nucleoli, and metabolic puncta. These bodies appear as separate phases, some containing reversible, amyloid-like fibrils formed by interactions of low-complexity protein domains. Here we report five atomic structures of segments of low-complexity domains from granule-forming proteins, one determined to 1.1 Å resolution by micro-electron diffraction. Four of these interacting protein segments show common characteristics, all in contrast to pathogenic amyloid: kinked peptide backbones, small surface areas of interaction, and predominate attractions between aromatic side-chains. By computationally threading the human proteome on three of our kinked structures, we identified hundreds of low-complexity segments potentially capable of forming such reversible interactions. These segments are found in proteins as diverse as RNA binders, nuclear pore proteins, keratins, and cornified envelope proteins, consistent with the capacity of cells to form a wide variety of dynamic intracellular bodies. Aggregated tau protein is associated with over 20 neurological disorders, which include Alzheimer’s disease. Previous work has shown that tau’s sequence segments VQIINK and VQIVYK drive its aggregation, but inhibitors based on the structure of the VQIVYK segment only partially inhibit full-length tau aggregation and are ineffective at inhibiting seeding by full-length fibrils. Here we show that the VQIINK segment is the more powerful driver of tau aggregation. Two structures of this segment determined by the cryo-electron microscopy method micro-electron diffraction explain its dominant influence on tau aggregation. Of practical significance, the structures lead to the design of inhibitors that not only inhibit tau aggregation but also inhibit the ability of exogenous full-length tau fibrils to seed intracellular tau in HEK293 biosensor cells into amyloid. We also raise the possibility that the two VQIINK structures represent amyloid polymorphs of tau that may account for a subset of prion-like strains of tau. We have our own water machine to make HPLC grade water. Use this very pure water, and chemicals of ACS grade or better. Ammonium Sulfate, saturated solution: Weigh about 80 grams of enzyme grade ammonium sulfate. In a 250ml beaker, stir the solid into 100ml of wa ter. Heat the mixture to dissolve the last of the solid. The final volume is about 120ml. Get a 0.2um filter wet with water before use, then filter the solution while it is still hot. The concentration equilibrates several days later, when crystals appear. Sodium Citrate buffers: Citrate buffers become very hot during titration with NaOH. The pH’s of buffers that get hot are not reproducible. To make a 0.5M citrate buffer without heating, first separately prepare 0.5M citric acid, and 0.5M Na3 citrate. Mix them while watching the pH with a pH meter. No matter how you mix them, it’s still 0.5M total citrate. Calibrate the pH meter around the pH of interest. Our pH meter automatically recognizes pH 1.68 standard buffer, in addition to the more familiar standards. Lithium Citrate buffers: This one is really a pain because LiOH is not very soluble, and it fizzes as though part of it is LiHCO3. If you need a series of Li citrate buffers, make the highest pH one first, to final concentration, then mix that with the same concentration of citric acid to back-titrate to the low er pH values. The volume of the highest pH buffer has to be enough to make all the lower pH buffers. Filtration of 2M Lithium Sulfate: The 0.2um filter has to be wet first. Lithium chloride: LiCl is soluble to at least 8M. Dissolving LiCl is exothermic. Preparation of the concentrated solution generates concentrat ed heat that can melt Parafilm and make a warm mess. Add the LiCl to the water slowly. It takes a long time for 8M LiCl to wet a cellulose acetate filter membrane. 5M LiCl filters much faster. Polyethylene Glycol: Weigh the desired amount, put the solid into a graduated cylinder of the desired volume. Add water to less than the final volume. Seal with Parafilm. Mix on a Nutator until dissolved, then add water to final volume. For example, for a 30% stock solution, weigh 30g, put it into a 100ml graduat ed cylinder with water up to about the 90ml mark, seal and Nutate. Later on, add water to 100ml. Polyethylene Glycol 1000: PEG1000 is poured into its container as a melt; it is not flaked or powdered like the other PEG’s. To make a PEG1000 solution, warm the PEG1000 container in a water bath to melt it, then pour out the desired amount. Dissolve it in water before it solidifies, otherwise it will take a lon g time to dissolve. 4M Na/K Phosphate: I don’t know if this results in anybody’s “standard” pH. Decide what final volume you want, then weigh enough of NaH2PO4, Na2HPO4, KH2PO4, K2HPO4 to make that final volume 1M of each one. Add a little at a time of each one to water, with stirring. When all 4 are nearly dissolved, add water to reach the final volume. This technique was first used by Ward Smith at UCLA in the early 80s with RuBisCo. These are some of the first heavy atoms we try at UCLA. The success rate has been very high. DMM or Dimethyl Mercury ( (CH3)2 Hg ) and TEL or Tetraethyl Lead ( (C2H5)4 Pb ) are liquids at room temperature and not miscible with water, but their vapors can diffuse into protein crystals and produce useful derivatives. Both compounds are extremely toxic by inhalation and skin contact. They are fat soluble, and therefore absorption is probably permanent. Please use extreme caution in handling these compounds and in disposing of contaminated objects and crystals after the experiment is done. DMM will permeate in few seconds through disposable latex gloves. A highly resistant laminate glove (Silver Shield or 4H) should be worn under a pair of long cuffed, unsupported neoprene, nitrile, or similar heavy-duty gloves. See report on DMM accident. Here at UCLA, the management has already purchased DMM and TEL from ALDRICH (catalog numbers 32,808-1 ($120.00) and 40,269-9 ($47.50)). Please, labmates, don’t duplicate our efforts; this is nasty stuff to store. At UCLA, the management does this: In a fume hood break open an ampule of the liquid and transfer the whole contents to several previously labeled 1 ml REACTI-VIAL vials from PIERCE (catalog 13221Z; $69 for 12 vials; the cap liner must have a Teflon face to contain these materials). The transfer is safest with a positive displacement pipet (Gilson Microman M250). DO NOT use an air displacement pipet (Pasteur or Gilson Pipetman). Close each vial with the special cap provided. Wrap the cap with a strip of Parafilm. Each vial is stored inside a 50 ml polypropylene centrifuge tube with a plug seal screw cap. Cover the cap with Parafilm. Store each individual centrifuge tube inside a larger container (glass jar or metal) sealed with parafilm and label it EXTREMELY TOXIC.These compounds should be stored in a freezer to minimize their vapor pressures. No food should be stored in this freezer. In our lab we keep these vials in a freezer in room 219. Keep all your tools used for handling DMM and TEL inside a fume hood. Leave the reagent in its vial in its centrifuge tube in the hood to warm it to room temperature (to minimize condensation of water). Preheat the wax melter in the hood and keep it on. Outside the fume hood: Mount the crystal using your usual technique. Seal one end of the capillary with wax. Insert into the open end a small piece of filter paper. Leave the paper filter flush with the end of the capillary. Pay attention to the size of the paper so it doesn’t touch the crystal. The rest of the procedure MUST be done with double gloves and inside the fume hood (preferably dissimilar glove materials, such as Silver Shield over long cuffed nitrile, neoprene or similar heavy duty gloves). Quickly move the mounted crystal to the fume hood, open the vial with DMM or TEL and with a 10 ul Hamilton syringe add just enough liquid to completely wet the paper. Be careful and do not leave a heavy atom liquid plug inside the capillary. Seal the other end of the capillary: If you use wax, be careful not to warm the paper strip because this causes distillation of the compound onto the nearest cooler thing (your crystal). With 5 minute epoxy, there isn’t a heating problem, but the gyrations needed to hold the liquid epoxy on the end of a capillary sometimes causes the paper strip to fall into the epoxy. Wait for 10-15 minutes to be sure the vapor diffuses into the crystal (see the references, below). TEL is less volatile than DMM, so maybe on average it takes longer. Your crystal is now read for data collection. Leave the Hamilton syringe in the fume hood for few days. Label it so it is only used for Hg or Pb Heavy Atom experiments. The gloves, wax and any other disposable tools that touched the compound should be disposed in a appropriate container (We have a container labeled HEAVY SOFT). After data collection the crystal and capillary should be disposed in the sharp Heavy atom waste container. (labeled HEAVY SHARPS)/.